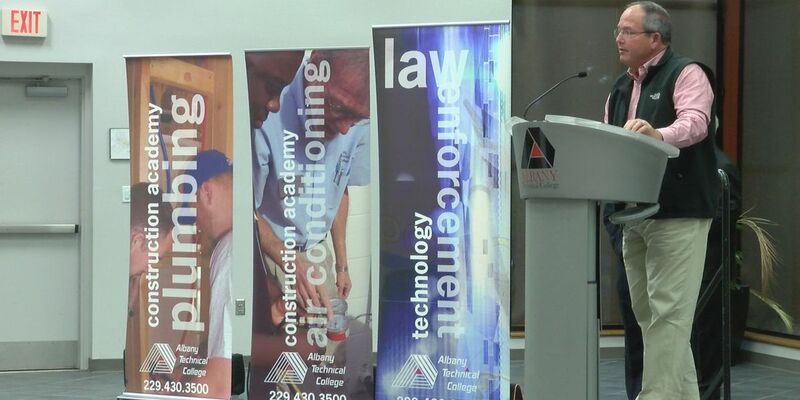 ALBANY, GA (WALB) - Hundreds of people came to Albany Technical College's first Employer Workforce Outreach program, hoping to learn more about how to become a valued employee close to home. Students and the public heard from South Georgia employers in the construction, transportation and public safety industries Tuesday night during the program. "We wanted to connect the community to employers where employers can have a direct communication and a platform to discuss with potential employees what are the qualities and traits they are looking for," said Emmett Griswold with Albany Tech. This event was also very beneficial to those making career changes. "I just decided it was time for a career change so I wanted to come back for the commercial truck driving program, "said Wesley Higdon, a student at Albany Tech. Higdon decided he wanted to make a lasting impression on employers by coming to the forum. "If they are saying something I want and have local jobs available then I want to speak with them. I want to let then see me face-to-face and shake hands," said Higdon. He feels this event will give him the edge he needs to stand out during the interview process. "When I do an application online I'm just a number on a paper. When I do it here I'm a face. They know my personality, they can get a feel for me," said Higdon. Albany Tech hopes the forum left an impact on students that their next career could be right here in Southwest Georgia. The school plans to have many more of these outreach programs due to the great response Tuesday night. The next one is planned to be in April and focus more on the business industry.